For an up-to-date schedule of programs that Freedom Project is currently offering, check out our calendar. See Freedom Project’s Program Manual for an in-depth description of programming. Freedom Project offers prison programming on Nonviolent Communication (NVC) and mindfulness in five state prisons throughout Washington State. Volunteers provide regular programming at Twin Rivers Unit (TRU) at Monroe Correctional Complex, Airway Heights Corrections Center (AHCC, in Spokane), and Clallam Bay Corrections Center (CBCC). 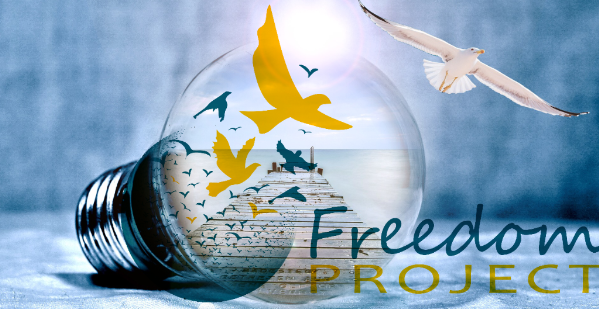 Freedom Project also holds occasional programming at Washington Corrections Center for Women (WCCW, in Gig Harbor), Benton County Jail (BCJ) in Kennewick, WA, Coyote Ridge Corrections Center (CRCC) in Connell, WA and the Washington State Reformatory (WSR) unit at Monroe Correctional Complex. Class sizes range from 15 to 25 participants, with workshops hosting as many as 30 individuals. Freedom Project’s Basic Introduction to NVC is currently offered in three Washington state prisons, including the Twin Rivers Unit in Monroe, Airway Heights Correctional Complex, and Clallam Bay Correctional Complex. Over the course of a comprehensive 15-week class, facilitators (both inside mentors and outside volunteers) provide the basic framework of Nonviolent Communication. Program participants explore how to express themselves authentically and to listen empathically through role-playing and carefully developed hands-on exercises. Advanced NVC classes vary by facility. Recent offerings include the NVC Practice Group (Twin Rivers Unit in Monroe), NVC Immersion & Integration (Twin Rivers Unit in Monroe), and NVC Integration (Clallam Bay). These classes explore the application and integration of Nonviolent Communication tools and strategies in every day life, in addition to cultivating a deeper sense of connection and community between peers, Mentors/inside facilitators, and outside facilitators. Mindfulness classes are offered at the Twin Rivers Unit at Monroe, where participants and facilitators explore meditation and mindfulness through the Path of Freedom – a mindfulness curriculum by Fleet Maull and Kate Crisp, specifically designed for those in prison. Workshops are provided monthly at the Twin Rivers Unit in Monroe and occasionally at the Washington Corrections Center for Women and Mission Creek Corrections Center. These program offerings can range in topics, such as Basic NVC Workshops, Family Workshops (where prisoners have the chance to learn and practice with a family member), and Themed NVC Workshops that focus on a particular topic (such as anger, empathy, self-empathy, conflict resolution, etc).